The Bulldogs play WAUBONSEE COMMUNITY COLLEGE in Sugar Grove, IL. First pitch is scheduled for 3:00 PM. Dates and times are subject to change without notice. For more information, contact Steve Ruzich at (708) 210-5843 or the Athletics’ Office at 708-596-2000 ext. 2334. 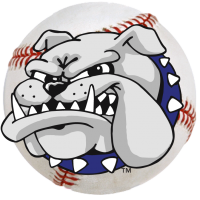 THE GAME SCHEDULED FOR 4/26 HAS BEEN ADDED TO THIS DATE The Bulldogs will now play a doubleheader against the COLLEGE OF DUPAGE of Des Plaines, IL. First pitch is scheduled for 2:00 PM. All home games are played in Bulldog Stadium located on the south end of the Main Campus. Dates and times are subject to change without notice. For more information, contact Steve Ruzich at (708) 210-5843 or the Athletics’ Office at 708-596-2000 ext. 2334. The Lady Bulldogs host a doubleheader against PRAIRIE STATE COLLEGE. First pitch of Game One is scheduled for 3:00 PM. All home games are played in Lady Bulldog Stadium located on the south end of the Main Campus. Dates and times are subject to change without notice. For more information, contact Ken Crandol at (708) 596-2000 x2575 or the Athletics’ Office at 708-596-2000 ext. 2334. 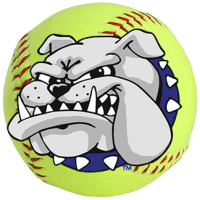 The Lady Bulldogs will play a doubleheader against DANVILLE AREA COMMUNITY COLLEGE in Danville, IL. First pitch of Game One is scheduled for 4:00 PM. Dates and times are subject to change without notice. For more information, contact Ken Crandol at (708) 596-2000 x2575 or the Athletics’ Office at 708-596-2000 ext. 2334. The Bulldogs host JOLIET JUNIOR COLLEGE. First pitch is scheduled for 3:00 PM. All home games are played in Bulldog Stadium located on the south end of the Main Campus. Dates and times are subject to change without notice. For more information, contact Coach Ruzich at 708-210-5843 or the Athletics’ Office at ext. 2334. THIS GAME HAS BEEN RESCHEDULED TO 4/24 The Bulldogs will play against the COLLEGE OF DUPAGE in Des Plaines, IL. First pitch is scheduled for 3:00 PM. Dates and times are subject to change without notice. For more information, contact Steve Ruzich at (708) 210-5843 or the Athletics’ Office at 708-596-2000 ext. 2334. The Lady Bulldogs play a doubleheader at MORAINE VALLEY COMMUNITY COLLEGE in Palos Hills, IL. First pitch of Game One is scheduled for 3:00 PM. Dates and times are subject to change without notice. For more information, contact Ken Crandol at (708) 596-2000 x2575 or the Athletics’ Office at 708-596-2000 ext. 2334. The Lady Bulldogs host a doubleheader against ELGIN COMMUNITY COLLEGE. First pitch of Game One is scheduled for 12:00 PM. All home games are played in Lady Bulldog Stadium located on the south end of the Main Campus. Dates and times are subject to change without notice. For more information, contact Ken Crandol at (708) 596-2000 x2575 or the Athletics’ Office at 708-596-2000 x2334. The Bulldogs host KANKAKEE COMMUNITY COLLEGE. First pitch is scheduled for 1:00 PM. All home games are played in Bulldog Stadium located on the south end of the Main Campus. Dates and times are subject to change without notice. For more information, contact Coach Ruzich at 708-210-5843 or the Athletics’ Office at ext. 2334. The Bulldogs will host a doubleheader against MORTON COLLEGE of Cicero, IL. First pitch of Game One is scheduled for 12:00 PM. All home games are played in Bulldog Stadium located on the south end of the Main Campus. Dates and times are subject to change without notice. For more information, contact Steve Ruzich at (708) 210-5843 or the Athletics’ Office at 708-596-2000 ext. 2334. The Lady Bulldogs play a doubleheader at ROCK VALLEY COLLEGE in Rockford, IL. First pitch of Game One is scheduled for 12:00 PM. Dates and times are subject to change without notice. For more information, contact Ken Crandol at (708) 596-2000 x2575 or the Athletics’ Office at 708-596-2000 ext. 2334. The Bulldogs play OAKTON COMMUNITY COLLEGE in Des Plaines, IL. First pitch is scheduled for 3:00 PM. Dates and times are subject to change without notice. For more information, contact Steve Ruzich at (708) 210-5843 or the Athletics’ Office at 708-596-2000 ext. 2334. The Lady Bulldogs host a doubleheader against the COLLEGE OF DUPAGE. First pitch of Game One is scheduled for 3:00 PM. All home games are played in Lady Bulldog Stadium located on the south end of the Main Campus. Dates and times are subject to change without notice. For more information, contact Ken Crandol at (708) 596-2000 x2575 or the Athletics’ Office at 708-596-2000 x2334. The Bulldogs will travel to Chicago Heights, IL to play PRAIRIE STATE COLLEGE. First pitch is scheduled for 3:00 PM. Dates and times are subject to change without notice. For more information, contact Steve Ruzich at (708) 210-5843 or the Athletics’ Office at 708-596-2000 ext. 2334. The Bulldogs hosts MORAINE VALLEY COMMUNITY COLLEGE of Palos Hills, IL. First pitch is scheduled for 3:00 PM. All home games are played in Bulldog Stadium located on the south end of the Main Campus. Dates and times are subject to change without notice. For more information, contact Steve Ruzich at (708) 210-5843 or the Athletics’ Office at 708-596-2000 ext. 2334. THESE GAMES HAVE BEEN RESCHEDULED FROM 4/14 The Bulldogs will play a doubleheader against CARL SANDBURG COLLEGE of Galesburg, IL. First pitch of Game One is scheduled for 2:00 PM. All home games are played in Bulldog Stadium located on the south end of the Main Campus. Dates and times are subject to change without notice. For more information, contact Steve Ruzich at (708) 210-5843 or the Athletics’ Office at 708-596-2000 ext. 2334. The Lady Bulldogs play a doubleheader at WAUBONSEE COMMUNITY COLLEGE in Sugar Grove, IL. First pitch of Game One is scheduled for 3:00 PM. Dates and times are subject to change without notice. For more information, contact Ken Crandol at (708) 596-2000 x2575 or the Athletics’ Office at 708-596-2000 ext. 2334. The Bulldogs play a doubleheader against HIGHLAND COMMUNITY COLLEGE in Freeport, IL. First pitch of Game One is scheduled for 12:00 PM. All home games are played in Bulldog Stadium located on the south end of the Main Campus. Dates and times are subject to change without notice. For more information, contact Steve Ruzich at (708) 210-5843 or the Athletics’ Office at 708-596-2000 ext. 2334. The Bulldogs will play a doubleheader against MADISON COLLEGE (WI). First pitch of Game One is scheduled for 12:00 PM. All home games are played in Bulldog Stadium located on the south end of the Main Campus. Dates and times are subject to change without notice. For more information, contact Steve Ruzich at (708) 210-5843 or the Athletics’ Office at 708-596-2000 ext. 2334. The Lady Bulldogs play a doubleheader at the COLLEGE OF DUPAGE in Glen Ellyn, IL. First pitch of Game One is scheduled for 12:00 PM. Dates and times are subject to change without notice. For more information, contact Ken Crandol at (708) 596-2000 x2575 or the Athletics’ Office at 708-596-2000 ext. 2334. NJCAA Division II Region IV Softball Tournament The 2019 NJCAA Division I Region IV Softball Tournament will be hosted at a site to be determined. Dates and times are subject to change without notice. In case of any postponed games will be made up on Friday, May 10th. For more information, contact Ken Crandol at (708) 596-2000 x2575 or the Athletics’ Office at 708-596-2000 ext. 2334. NJCAA Division I Region IV Baseball Tournament The 2019 NJCAA Division I Region IV Baseball Tournament is being hosted by Triton College in River Grove, IL. Teams and game times will be be determined. Dates and times are subject to change without notice. For more information, contact Coach Ruzich at (708) 210-5843 or the Athletics’ Office at (708) 596-2000 ext. 2334. NJCAA Division II Region IV Softball Tournament Finals All games will now be hosted by Highland Community College in Freeport, IL. Teams and starting times will be determined. For more information, contact Ken Crandol at (708) 596-2000 x2575 or the Athletics’ Office at 708-596-2000 ext. 2334. NJCAA Division I Districts Baseball Tournament The 2019 NJCAA Division I Districts Baseball Tournament is being hosted by a southern Illinois college to be determined. Teams and game times will also be determined. Dates and times are subject to change without notice. For more information, contact Coach Ruzich at (708) 210-5843 or the Athletics’ Office at (708) 596-2000 ext. 2334. 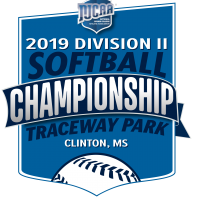 NJCAA DII National Softball Tournament The 2019 NJCAA DII National Softball Tournament is being played at Traceway Park in Clinton, MS. Teams and starting times will be determined. Dates and times are subject to change without notice. For more information, contact Ken Crandol at (708) 596-2000 x2575 or the Athletics’ Office at 708-596-2000 ext. 2334. 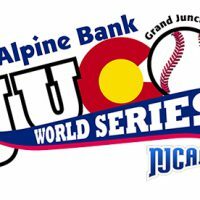 NJCAA Men’s Baseball National World Series The 2017 NJCAA Division I National Baseball World Series will be played at Sam Suplizio Field in Grand Junction, CO. Teams and game times have yet to be determined. Dates and times are subject to change without notice. In case of any postponed games will be made up on Sunday, May 14th. For more information, contact Coach Ruzich at (708) 210-5843 or the Athletics’ Office at (708) 596-2000 ext. 2334.